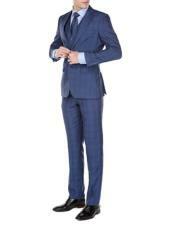 What Is A Modern Fit Suit? 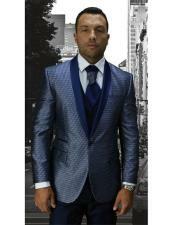 A suit is one of the most versatile of men's clothing. You can achieve any look you want, anywhere if you know how to wear a suit. That is however not the only requirement. 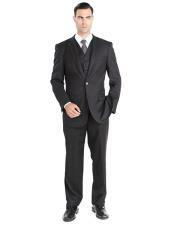 You also have to make sure that you know what to buy, and how to buy a suit according to your requirements. 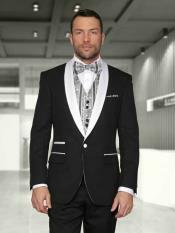 Men's fashion is evolving into something of a revolution, as more and more designers are coming up with new and innovative designs in clothes that have been worn by men since time immemorial. 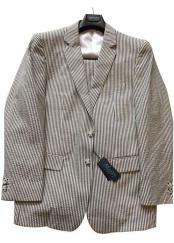 One subject of such experiment is the classic suit. 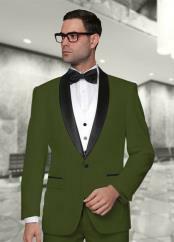 It is imperative for a man to own at least one good suit and for that you need to have an acute knowledge of the type of suits that are available. 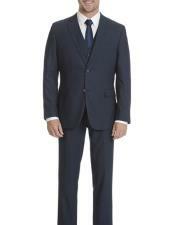 One of the types is the modern fit suit. 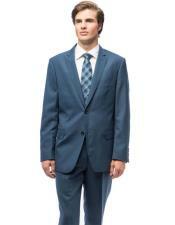 You may ask what is a modern fit suit. 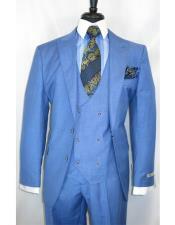 The answer is as follows. 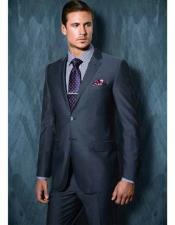 A modern fit suit is exactly what the name suggests. A suit with a modern cut and fit. 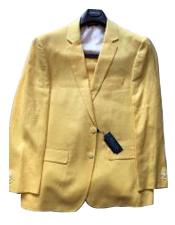 Now you may ask what a modern fit is. 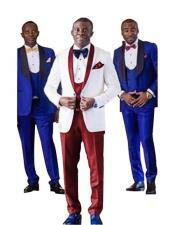 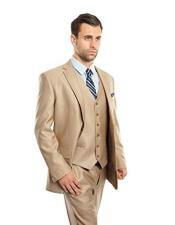 Earlier people wore suits that were tailored and fitted and that tradition has remained. 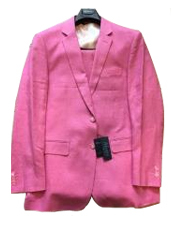 However, it has been modified slightly. 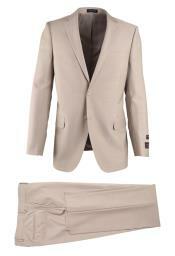 Now, there are suits that come in the classic cut and the modern cut. 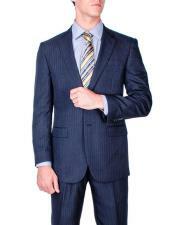 A modern fit suit is basically a suit that is slim and fits snugly on your body. 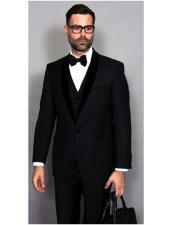 The measurements are so precise that there isn't even an inch of material left for adjustment, and it gives you an overall sleek and polished look. 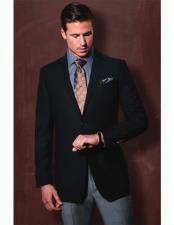 It definitely adds sharpness to your attire. 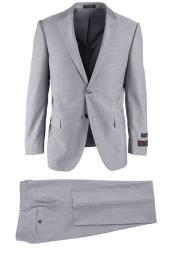 Slim fit or modern fit suits are slowly becoming very popular not only among the young, but also among the middle-aged professional who is choosing a racy and edgy look with their suit instead of a classic suit style. 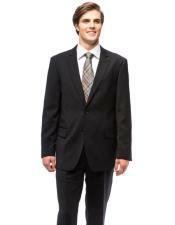 What are the Features of a Modern Fit Suit? 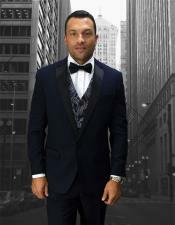 A modern fit suit has some distinctive features that not only make it easier for you to buy, but also sets you apart when you are wearing it in a crowd. 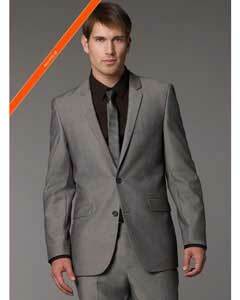 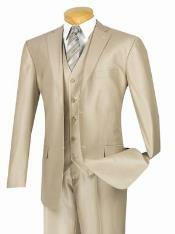 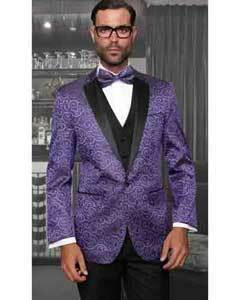 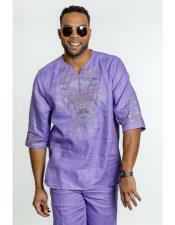 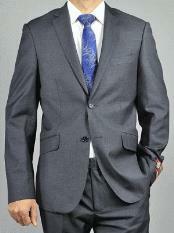 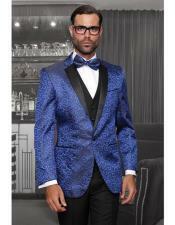 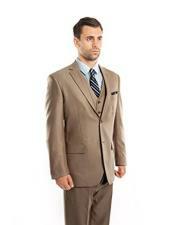 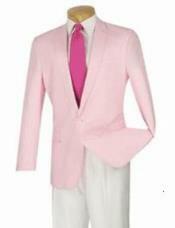 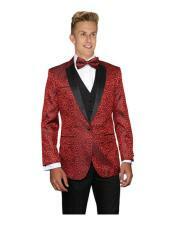 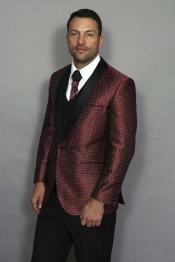 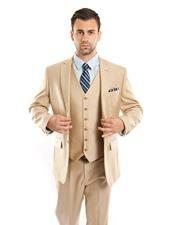 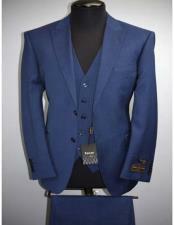 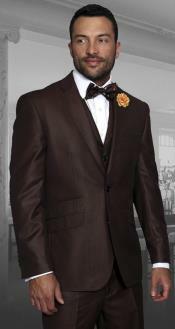 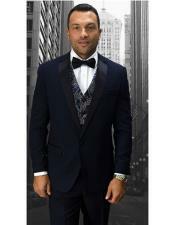 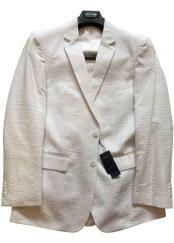 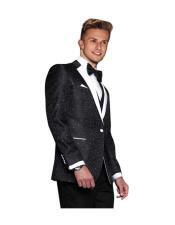 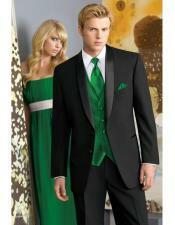 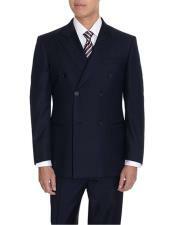 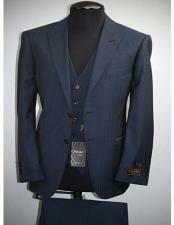 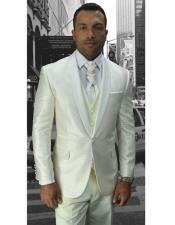 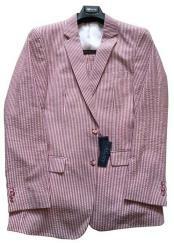 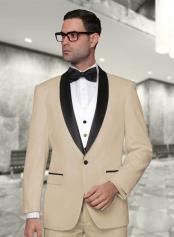 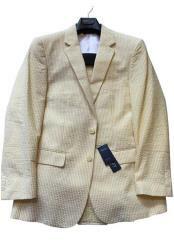 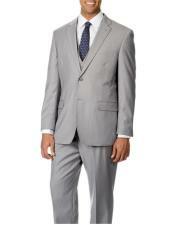 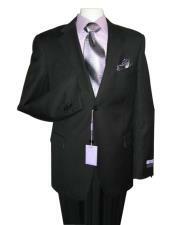 The distinctive features are that the lapels of a slim fit or a modern fit suit are thin and sleek. 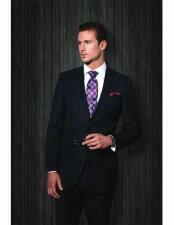 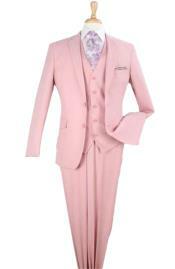 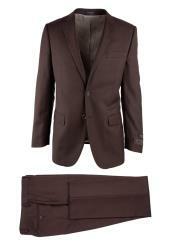 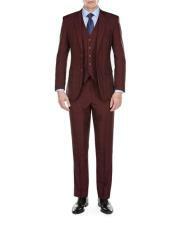 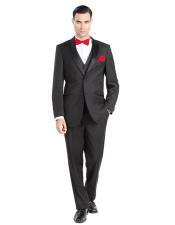 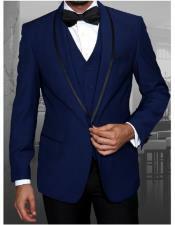 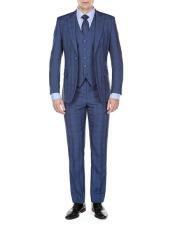 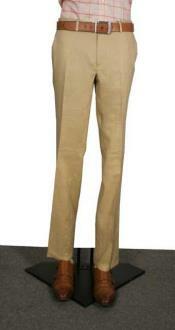 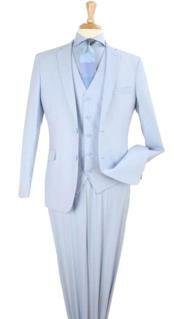 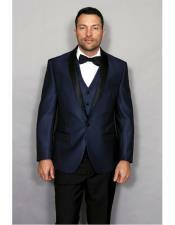 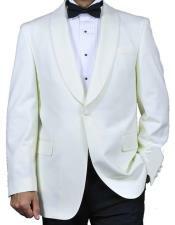 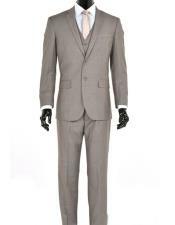 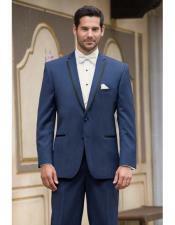 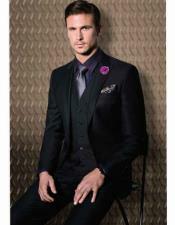 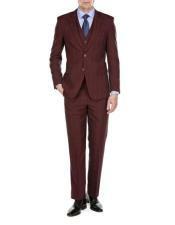 The trousers are well fitted and the suit jacket too hugs the contours of your body perfectly. If you ask what is a modern fit suit, you have to understand that it is a suit that encompasses the spirit of modernity completely. 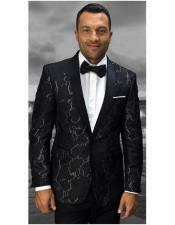 In keeping with the times, the suit has carved its own niche in the world of men's fashion and you are bound to create an impression wherever you decide to sport it. 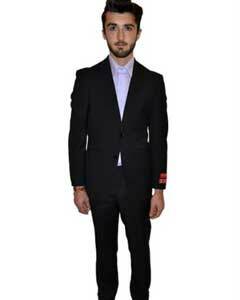 Another thing you should remember that modern fit does, by no means, mean skinny. 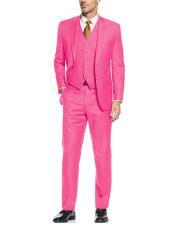 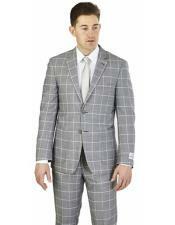 It is in fact a suit that is made to fit the wearer better and more precisely.